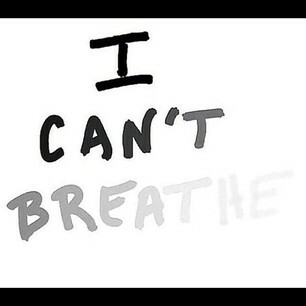 I’m deeply disheartened (I literally gagged) that the grand jury found no cause to indict police officers that placed a choke hold on Eric Garner, which was determined his cause of death. Garner’s death was ruled a homicide. How could it not? It was the chokehold seen around the globe. But it wasn’t enough for the jurors. I’m beginning to wonder what would be. How can lives (yes, LIVES) be so violently taken and the only outcome is a makeshift how to get away with murder fraternity among Zimmerman, Wilson, Oliver and Haste. Yes, Mr. President, it is an American problem. A biggie that predates your existence and mine. The only thing that does change are the names. The faces and pleas for justice go unchanged. While round us bark the mad and hungry dogs, Making their mock at our accursed lot. Shall be constrained to honourus through dead! O kinsman! We must meet the common foe! Though far outnumbered let us show us brave, And for their thousand blows deal one deathblow! Like men we’ll face the murderous, cowardly pack,Pressed to the wall, dying, but fighting back!